How to Become a Sheriff in Ohio? How much does a sheriff make in Ohio? The following requirements are general and for guidance purposes only. This is because these requirements may vary from county to county. Before you begin the application process for becoming a sheriff in Ohio, you will need to meet the following basic requirements. Once you have satisfied the basic eligibility criteria of your county, you would be required to follow a series of steps to get elected as a sheriff in Ohio. Bear in mind that the sheriff in most counties in Ohio is chosen via election, so you ought to start getting involved in the community matters early on. The first step is to get involved in the law enforcement sector. For this, you will need to enroll yourself in a police training academy to get a basic understanding of the field. The academy will teach you the basics, such as the use of firearms and crowd management techniques. Once you graduate from the police academy, you may proceed to look for a job in law enforcement. The most ideal job to get at this point would be to work as a police officer for a few years. Most counties would only require candidates to have a high school diploma for eligibility for the position of sheriff. However, having higher education, such as a bachelor’s degree in criminal justice or an associate degree in any law enforcement related field would make you a stronger candidate. 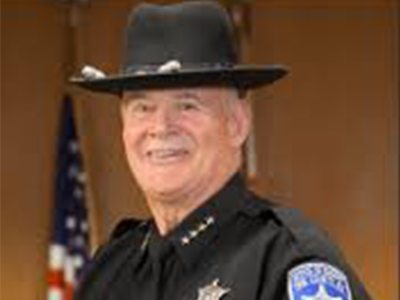 The voters might feel that your additional knowledge makes you more capable of running the office of sheriff. Every county will have a different set of requirements, so you might want to check with your county courthouse. In general, you would have to pass a written exam, an interview, a physical fitness test and a background check before you are eligible to file your paperwork. You are advised to fully plan out your fundraising and campaigning activities beforehand. This will ensure that you get your message across to your voters in the most effective manner possible. If you get the highest number of votes in the elections, you will be asked to take an oath of loyalty and begin your four year long term as the sheriff of your county. The annual mean wage of police and sheriff’s patrol officers in Ohio is $59,280, as per May 2017 data from the US Bureau of Labor Statistics. O*NET OnLine provides the employment data for the same occupation, showing a 3% growth in jobs. The number of jobs is expected to rise from 24,740 in 2016 to 25,370 in 2026. The Buckeye State Sheriffs’ Association (BSSA) is the organization that oversees the 88 sheriffs in Ohio. The Association was created in Columbus, Ohio, on 16th May, 1931 and has since then served as a strong developmental force for sheriffs across the state. The BSSA also provides information for the citizens of the state about what they ought to expect from their local sheriffs and how they need to cooperate to make the Sheriff’s Office a truly effective institution. Courts: Sheriffs in Ohio are responsible for the security of the courthouse, under Section 311.07 of the Ohio Revised Code. Jail Operation: Sheriffs are responsible for the county jail and all those who are held in it. They ought to be fair and impartial in their dealings. Prisoner Transportation: Thousands of prisoners are being transported every year, all over the state. Sheriffs ensure that these transportations to and from various state and local holding facilities are done with the utmost care. Police Services: Several communities in Ohio rely on the office of the sheriff solely for the provision of basic security services, since they cannot afford police departments of their own. Traffic Control: Sheriffs are specifically trained in traffic control methods and vehicle crash investigations. They would also be in-charge of re-routing traffic in case of an event in the county. Civil Process Service: Sheriffs perform duties such as delivering subpoenas and summonses. They also do repossessions, evictions and buying and selling of property ordered by the courts. Communications: In many counties across the state, the office of the Sheriff provides dispatch services for various other agencies as well, such as the fire department or ambulance associations. Specialized Programs: Sheriffs may also assist in controlling crime and traffic with the help of specialized DUI enforcement programs. Community Involvement: Sheriffs ensure that the community is fully involved, with programs such as Neighborhood Watch, McGruff, Speakers Bureau and D.A.R.E. If you are interested in becoming a sheriff in Ohio, the above mentioned guide would be of use to you. Keep in mind though, that the information provided is largely general, and may vary from county to county.